The Nike Jr. Superfly VI Club CR7 Younger/Older Kids' Multi-Ground Football Boot features a low-profile Dynamic Fit collar and a synthetic upper that delivers precise touch. A mixture of 2 different studs on the multi-ground plate provides traction on multiple kinds of surfaces, like natural and artificial grass. 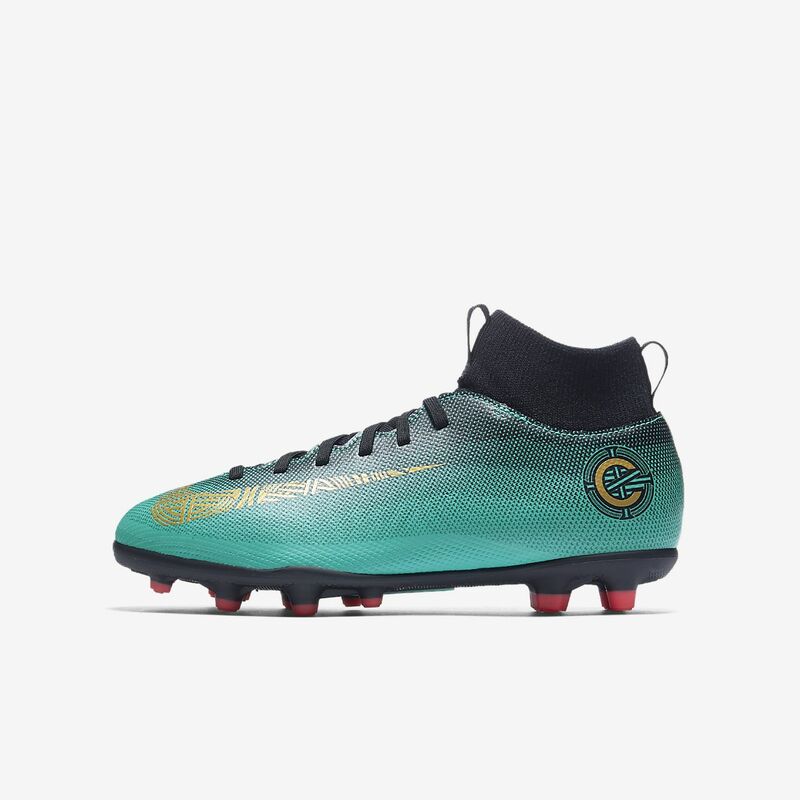 The Nike Jr. Superfly VI Club CR7 Younger/Older Kids&apos; Multi-Ground Football Boot features a low-profile Dynamic Fit collar and a synthetic upper that delivers precise touch. A mixture of 2 different studs on the multi-ground plate provides traction on multiple kinds of surfaces, like natural and artificial grass. Multi-ground (MG) boots for use on firm ground (FG) and artificial (AF). Have your say. Be the first to review the Nike Jr. Mercurial Superfly VI Club CR7 MG.